Elite 7 offer quality reconditioned SMT Machines. Investing in NEW machines is not always a possibility, especially when contracts are uncertain to be long term. Each of our reconditioned machines go through a rigorous overhaul procedure to ensure each mechanical and electrical part is inspected and within tolerance. As a minimum we always replace the conveyor belts and hard drive. The Operating system is installed fresh and the MMI also installed so that no bugs, viruses or corrupt files are copied from previous owner. This ensures trouble free operation from installation. All panels are cleaned and then powder coated. 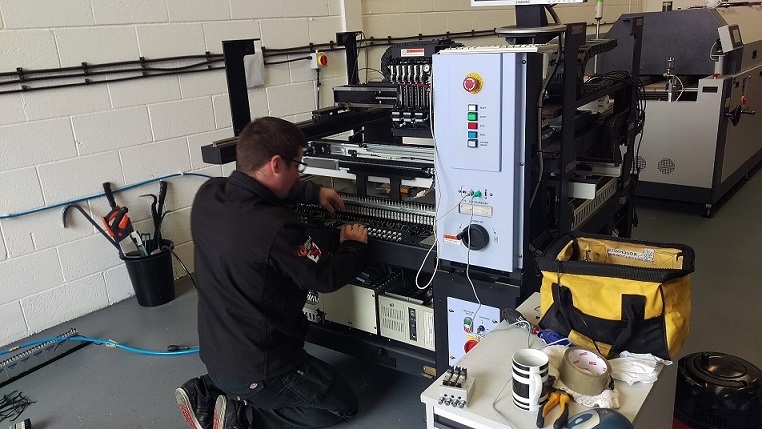 After Re-assembly, each machine is fully calibrated and tested and minimum of 5000 components are placed to check repeatability and performance.